GetDivorcePapers.com provides professionally completed, 100% court-approval, money-back guaranteed Maryland divorce forms. Just create an account, complete the interview, and file for divorce. Our case managers do all the work for you, and send the completed Maryland divorce forms when they are ready to be filed. 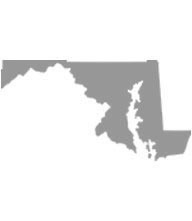 If the grounds of divorce happened outside Maryland, one spouse must have been a resident for at least one year before filing for divorce. However, if the grounds for divorce are insanity, residency requirement becomes 2 years minimum. Either spouse can file for divorce in the county where they live. Both spouses have lived apart voluntarily for one year. Adultery can also be a reason. Deliberate desertion for up to 12 months. Conviction with a 3 year or more sentence. Custody may be awarded to one or both parents, given the interests of the child. Custody may be denied to the spouse if there is any history of domestic abuse towards the child by the concerned parent. Apart from the above mentioned factor, no other factors are observed by the court while making the decision. The concerned child will be allowed to live in the environment he is comfortable in and the possession and use of the family home will be awarded to the parent holding custody. Contribution of each partner towards acquiring of property. Valuation of each of the spouses properties. Whether the property is part of added to the alimony. Any other factors that'll be necessary to do equality between spouses. Financial state of the spouse seeking alimony. Comparative financial state of the other spouse. Physical and emotional health of the spouses. Ability of alimony paying spouse to be able to sustain self. Any mutual agreement between spouses concerning support. Circumstances leading to the divorce. Any other factor deemed just and equitable by the court. The decided terms of settlement between the parents. Presence of the parent in the household of other children that the parent has a duty to support. The State of Maryland declares that mediation should be done in cases of custodial disputes, unless the child has been physically abused in the past. If children are involved, the court may indicate an educational seminar. There is no need of a lawyer when applying for divorce in the state of Maryland. A divorce case which is filed without any help of an attorney in any of the states is known as Pro Se Divorce. Literally, Pro Se is a Latin phrase and it means "on her or his own". Process of getting the divorce without the help of lawyer may vary from one State to another. These types of divorces are perfectly legal and enforceable in Maryland, and are actually very convenient. Usually, once settlements have been made regarding property distribution and custody matters among the spouses in case of a mutual divorce, Pro Se Divorces are filed.